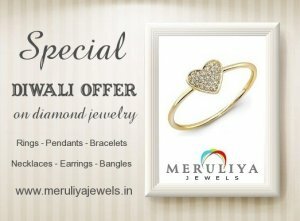 Spread the joy of diwali with Meruliya Jewels !! Meruliya Jewels brings amazing and unique offers 2015 on gold diamond jewellery, on the festival of light "Diwali". Celebrate diwali with latest trends of designer jewellery only at Meruliya Jewels.